Violation of the circulatory system operation leads to the formation of spots on the skin and large dots of red or blue color. This pathology is difficult to remove by conventional cosmetics. In order to remove the spots, you should contact the clinic of aesthetic cosmetology. Vessels begin to appear on the skin as a result of their increase. Healthy vessel diameter is 20 microns, while the pathologies of the circulatory system can reach the sizes of 100 microns. There are many reasons for the formation of spider veins, and all of them are divided into two groups: those caused by diseases of other organs and the ones cause by cause bad habits. The women tend to display this decease mostly. This is due to the relaxing effect of female hormone, the estrogen, which has the influence on the vascular walls; it increases the degree of their proliferation. 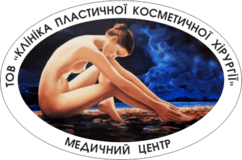 How is the spider veins decease being treated in Poltava? Removing of couperosis, port-wine stains, dots and hemangiomas is being performed surgically. This is an effective method of treatment that allows to perform restraint of the capillaries with their subsequent removal. The impact is performed on the subcutaneous blood vessels only, and it does not affect the process of blood circulation. The dissection is carried out through the incision or puncture through the skin. The incision has a length of 1-2 mm and does not leave traces on the skin after healing. Treatment time is 1-2 hours. After the daily hospitalization the patient can go home. The impact on the capillaries that passes through the punctures does not require sutures, what significantly reduces the time of the operation and provides a good cosmetic effect. The procedure may be a part of such the operations as Contour plasty , cruroplasty, Bishat lumps removal. Wiping of impact area with the alcohol means. The patient will have swelling and slight redness immediately after the procedure. A special bandage will be imposed onto the patient’s sensitive areas. Adhesion ointment may be assigned for healing. The number of procedures depends on the severity of the problem. Only one session needed for the patient with minor manifestations. If the disorder includes vascular groups, then the removal takes several stages. The major damages are removed during the first session, the average ones - during the second stage, and the small ones – during third stage. Generally it may require from 1 to 6 sessions.